The picketing campaign, held from 7 a.m. to 10 a.m., disrupted traffic and prevented employees from attending the DPDHS office. Though the Sri Lanka Police attempted to disrupt the picketing, the picketers defied the police and continued with their protest. 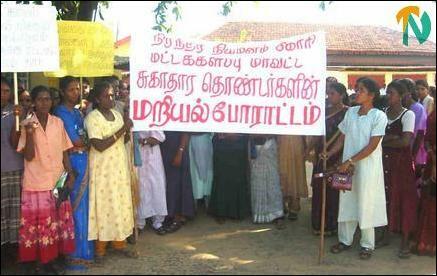 Picketing Health volunteers demand regular appointment. 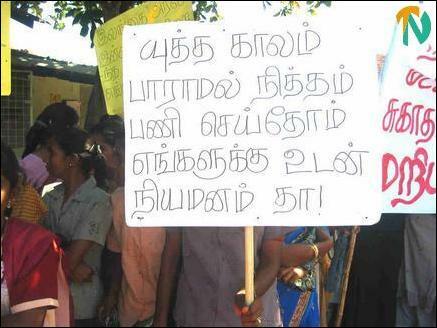 The Batticaloa district Tamil National Alliance MP (Vellimalai), Mr. G. Krishnapillai, visited the scene and held discussions with the picketers. The protesters argued that they would abandon their struggle only if a firm assurance was given that they would be given permanent appointments. However, the MP gave an assurance that he would take up the issue with the Prime Minister and the Health Ministry to find a solution within a month, and asked them to suspend their campaign. The MP then held discussions with the DPDHS, Dr. W.W.Williams, and representatives of the health volunteers. The volunteers handed over memorandum to the MP, to be submitted to the Health Minsiter, Mr. D. M. Dayaratne. They also demanded a written letter from the DPDHS, stating that he would take action toward providing permanent appointments to the volunteer health workers. The DPDHS then provided such a letter and the picketers agreed to suspend their campaign. About 650 volunteer health workers are serving in the district. There are about 150 vacancies. Though many were recently appointed as minor health care workers based on the recommendations of politicians, none of the volunteer health workers has been appointed, sources said. 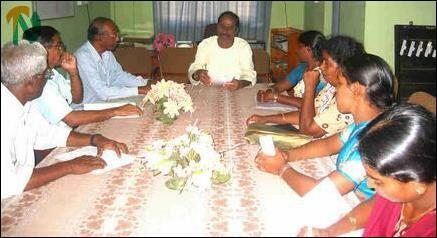 Batticaloa district MP, Mr. G. Krishnapillai (center) holding discussions with the picketers' representatives and health officials.